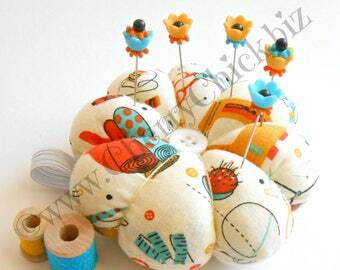 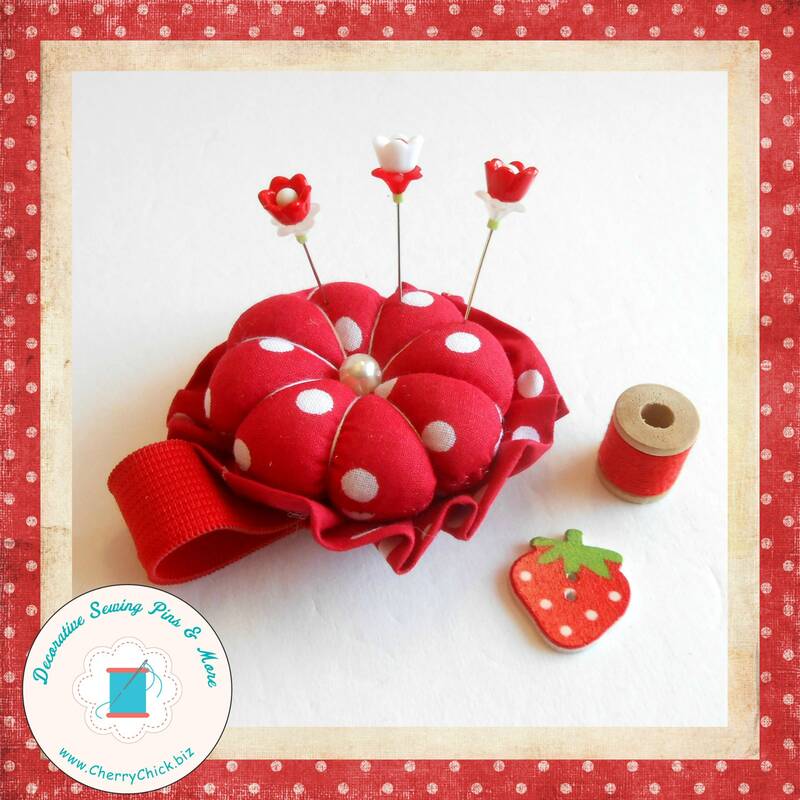 Red polka dot pumpkin style wrist pincushion with a set of Cherry Chick decorative pins included. 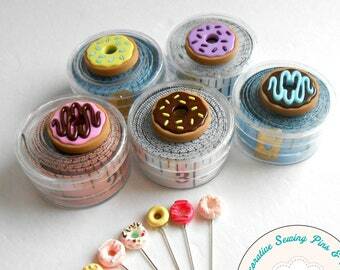 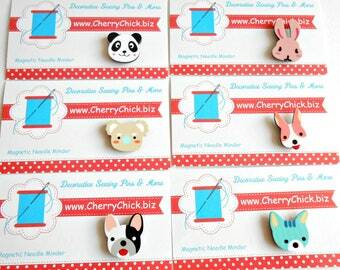 This cute pin keep has an elastic wristband that makes it easy for you to slide it over your hand. 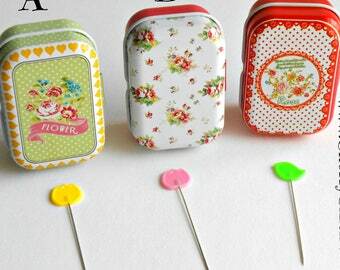 It has a solid bottom so the pins won't go through to stick your wrist. 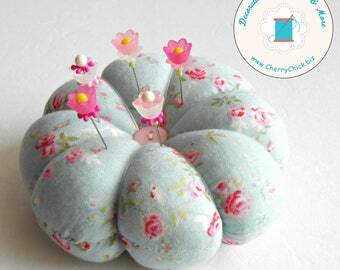 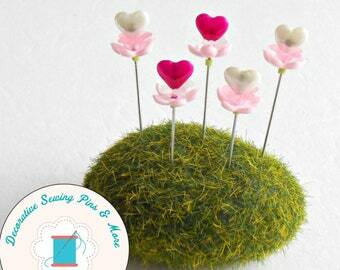 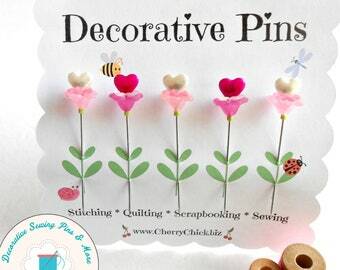 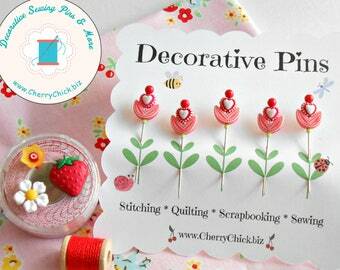 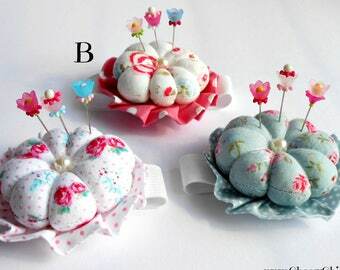 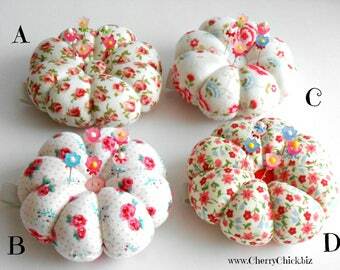 This listing is for one wrist pincushion with three decorative floral pins. 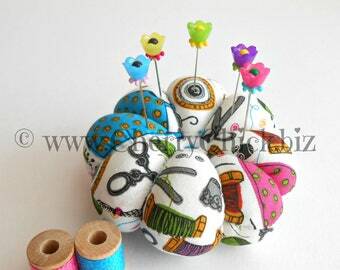 Some photos may contain other items that I sell in my shop that have been used as photo props for the listing.